the granting the visa would significantly benefit the relationship between the Australian Government and the government of another country. If this is the case, you must be at least 21 and the student must be supported in writing by a parent or person who has custody. have enough money to support yourself, any dependants accompanying you and the student. provide biometric information if we ask for it. You need to have enough money genuinely available to support you, the student and children coming with you for the duration of your stay in Australia. You will declare this in your visa application. evidence that your spouse (who is not travelling to Australia) will support you and your dependants and has an annual income of at least AUD 70,000. 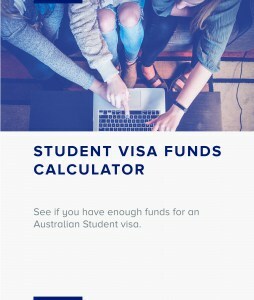 If the grant of the visa will significantly benefit the relationship between Australia and the government of your home country, you only need to show evidence of funds for yourself and dependents, not the student. This is indicative of the cost of living in Australia. Actual living costs vary depending where you live. Important: The financial capacity requirement relates to your eligibility for the grant of the student guardian visa. The living costs we ask you to declare or provide with your visa application are indicative of the cost of living in Australia. You need to be aware that actual living costs vary according to the area in which you intend to live and it is recommended that you research this yourself. You must have genuine access to funds. The funds shown in the visa application must be available for use to financially support you and your family members during your stay in Australia. showing income earned during a period ending less than 12 months before the visa application was lodged. For example, a tax assessment issued in December 2015, for a visa application lodged in July 2016, would be acceptable. You must provide evidence that you have enough health insurance for the duration of your stay in Australia. This can be Overseas Visitors Health Cover (OVHC) or another health insurance product from Australia or your home country that provides a similar level of cover. The student visa holder must have their own health insurance. You must provide identity documents and proof of your relationship with the student. This can include a birth certificate showing the names of both parents. anything else that relates to your plan to remain in Australia temporarily. a letter from your employer confirming your leave. a statutory declaration giving this person’s consent for the applicant to travel to Australia on this visa. Also attach a certified copy of this person’s identity papers such as a birth certificate, passport or driver licence. Non-English documents must be translated into English. If you are in Australia, your translator must be accredited by the National Accreditation Authority for Translators and Interpreters. If you are outside Australia, contact the Australian mission in the country that issued the documents for a translator. Scan all documents – both non-English documents and translated documents. Attach scanned copies to your online application when asked. Provide certified copies of your documents. Submit all documents with your application or your application could be refused or a decision on your visa could be delayed. You must comply with all visa conditions and Australian laws. Different visa conditions apply to you and your family members. If you breach your visa conditions your visa could be cancelled. student guardian must not work while in Australia. You can view your visa details including conditions in Visa Entitlement Verification Online (VEVO). If you have been granted a visa with the support of the government in your home country, you will have different visa conditions. 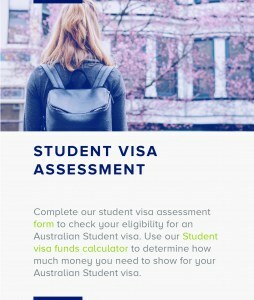 You can enter and leave Australia temporarily during the term of the visa, but you cannot leave Australia without the nominating student unless you make alternative welfare arrangements. you have made suitable alternative arrangements for the student’s accommodation, general welfare and support until you return. The alternative arrangements must be approved by us and the student’s education provider. Discuss your circumstances with the education provider a soon as you know you need to travel. Nominate an alternative student guardian who must be, except in limited circumstances, a parent or relative aged 21 years or over. To do this, use Form 157N Nomination of a student guardian. This form outlines documentation you need to provide when nominating a student guardian. Send this form, the education provider’s approval (in a letter or email) and the required documentation to your nearest office before you leave Australia. The student’s education provider can take responsibility for the student’s welfare by issuing a Confirmation of Appropriate Accommodation and Welfare (CAAW) letter which will state the start and end dates for approval of welfare arrangements. We will tell you if the alternative welfare arrangements have been approved. If we decide that the welfare arrangements are not suitable, you cannot leave Australia without your nominating student(s). If you need to leave Australia permanently and your student needs to continue to study, new welfare arrangements must be approved. If you do not comply with the conditions of your Student Guardian visa (subclass 590), your visa might be cancelled, and we could also cancel the nominating student’s visa.